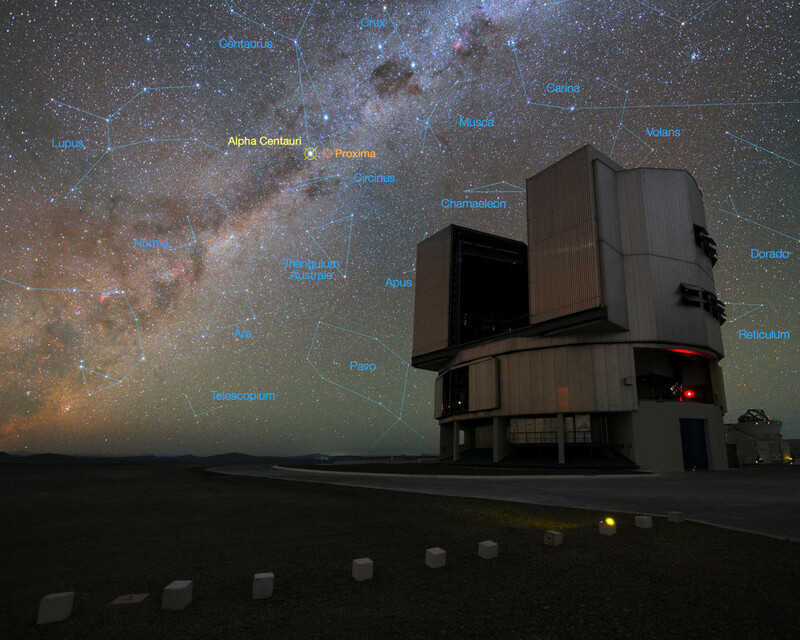 The foreground of this image shows ESO’s Very Large Telescope (VLT) at the Paranal Observatory in Chile. The rich stellar backdrop to the picture includes the bright star Alpha Centauri, the closest stellar system to Earth. 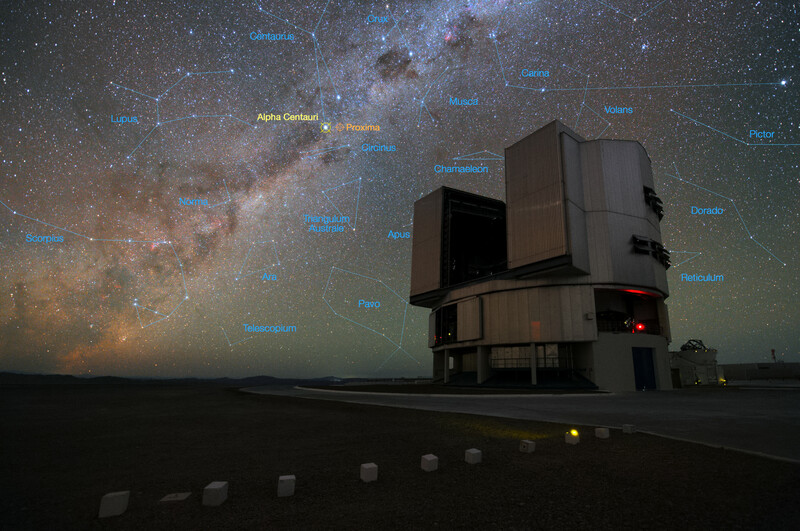 In late 2016 ESO signed an agreement with the Breakthrough Initiatives to adapt the VLT instrumentation to conduct a search for planets in the Alpha Centauri system. Such planets could be the targets for an eventual launch of miniature space probes by the Breakthrough Starshot Initiative.